If you know me at any level, you'll know I adore dogs. All dogs. I melt at the wag of their tail. 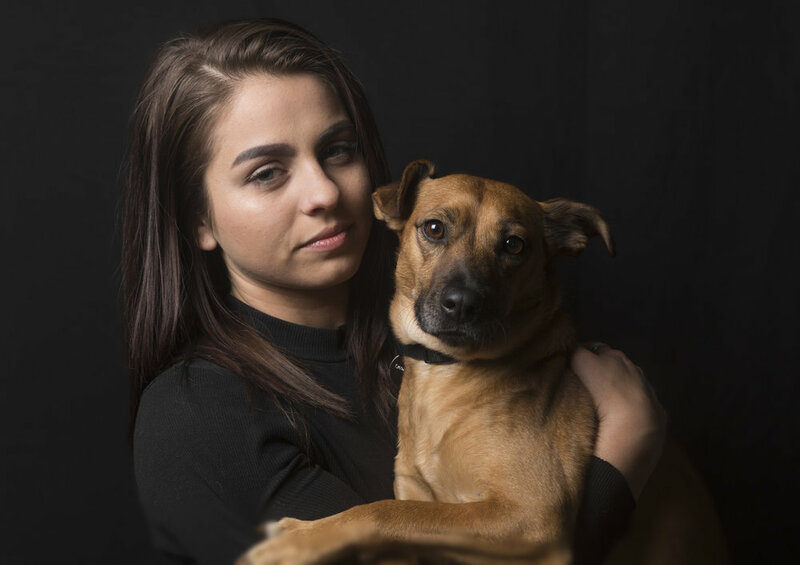 My friend Kat asked me to take a formal family portrait of her and her pup, Maeby, and I wouldn't have turned down the opportunity if you payed me. It only took a few treats to get Maeby looking just as sharp as her momma.